Designed to ensure proper hand positioning on a consistent basis. Provides proper wrist support while still maintaining a high comfort level. 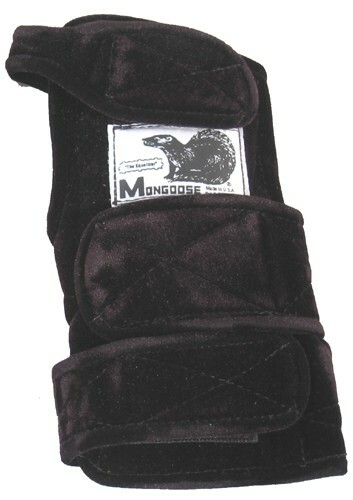 The unique design and manufacturing process allows the mongoose to form to your hand and wrist after a brief breaking in period. Works well and as expected. Very comfortable, yet provides very good wrist support. Hi! The sizes for women are usually small-medium and the mens sizes are medium-large. Whatever size glove you normally wear is the size wrist support you would get. For instance, if you wear a large size in a winter or latex glove, you will get the size large for the Lifter. Due to the time it takes to produce the Mongoose Equalizer Wrist Support ball it will ship in immediately. We cannot ship this ball outside the United States.